When Dr. Ken Sieranski walks at the UF Commencement Ceremony on Saturday, he’ll be making history. He will have earned the very first Masters in Veterinary Medical Sciences Concentration in Shelter Medicine earned entirely online from the University of Florida. 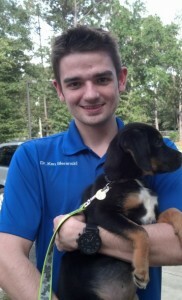 Dr. Sieranski began his educational journey at UF while a senior veterinary student at Texas A&M. 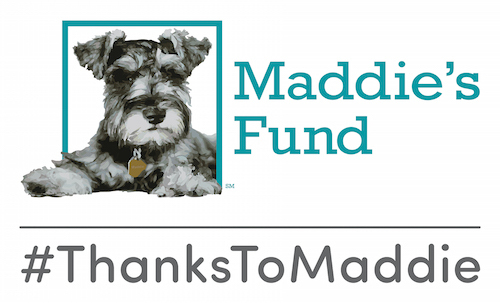 He first completed the online Maddie’s Graduate Certificate while still working on his DVM degree. After graduation from veterinary school, he completed a one-year internship at the Maddie’s Shelter Medicine Program at UF while continuing his online studies in the master’s degree program. After completing his internship, Dr. Sieranski went on to become a staff veterinarian at Miami-Dade Animal Services in South Florida, one of the largest municipal shelters in the USA with an annual intake of approximately 30,000 dogs and cats. Last month, Dr. Sieranski successfully presented his Capstone Project, “Reducing Zoonotic Disease Transmission in an Animal Shelter Utilizing Staff Education and Protocol Development.” All of us at the Maddie’s Shelter Medicine Program will be cheering him on Saturday morning, December 19, as he makes his historic walk! The Maddie’s Shelter Medicine Program currently has 42 veterinarians and graduate students pursuing the MS Concentration in Shelter Medicine. For more information about this online degree program and to apply, visit http://onlinesheltermedicine.vetmed.ufl.edu/.